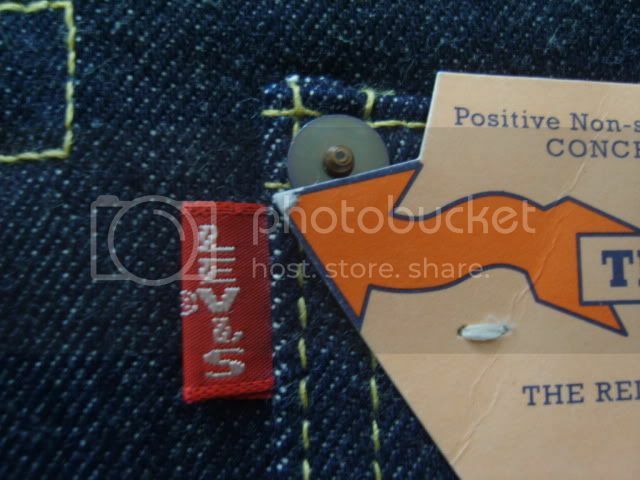 This is the Levi's Vintage Clothing thread. 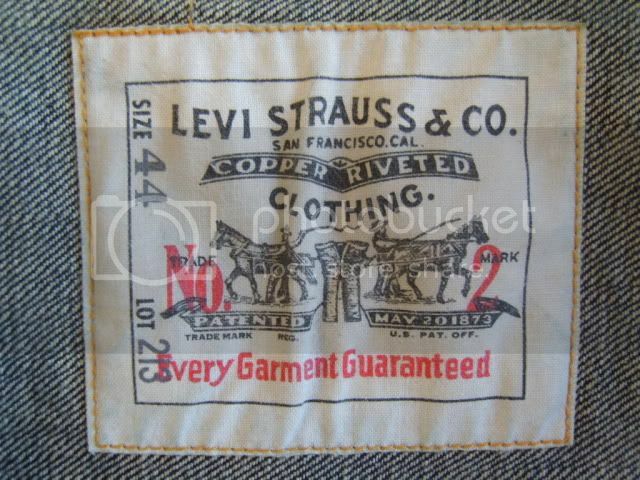 Started in 1996, the Levi's Vintage Clothing brand was set up to cater for the increasing interest in vintage denim, a phenomenon which quietly started in the early 1980's. 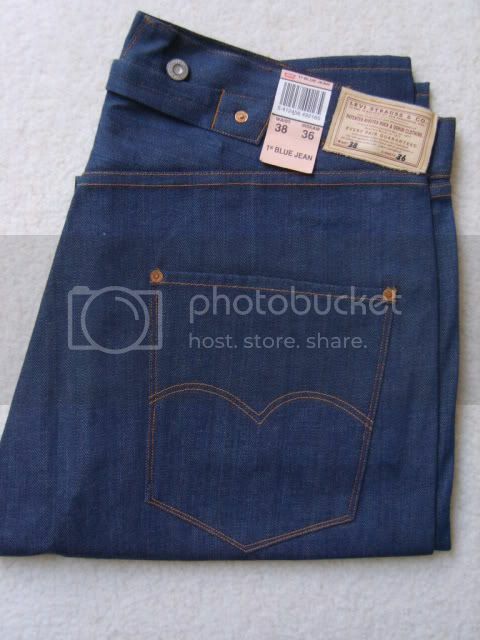 In 2003, the brand name was abbreviated to LVC. 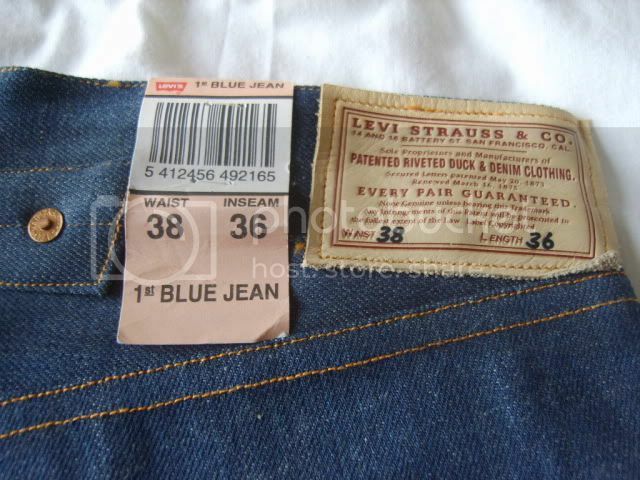 The first range that Levi's vintage clothing produced that was available in a few select stores here in the UK (see Lvc catalogues thread) had orange waist sizing/model tags. 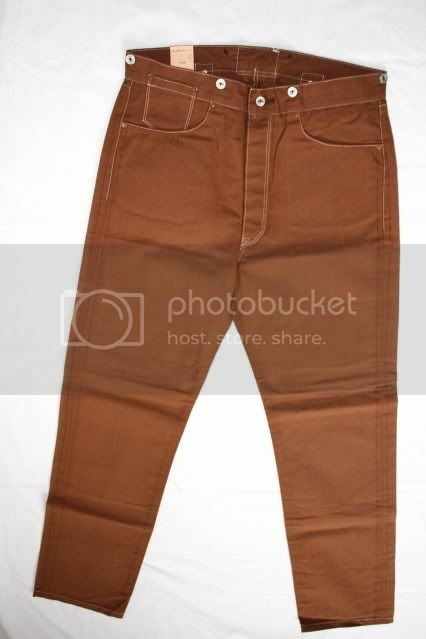 These were only produced from 9/96 for a few months before the colour of the tag changed to salmon pink. The first orange labelled items in the UK also came in a presentation box. I have only seen the 1955 501XX, 1937 201xx and the 1963 551ZXX with these earlier tags. 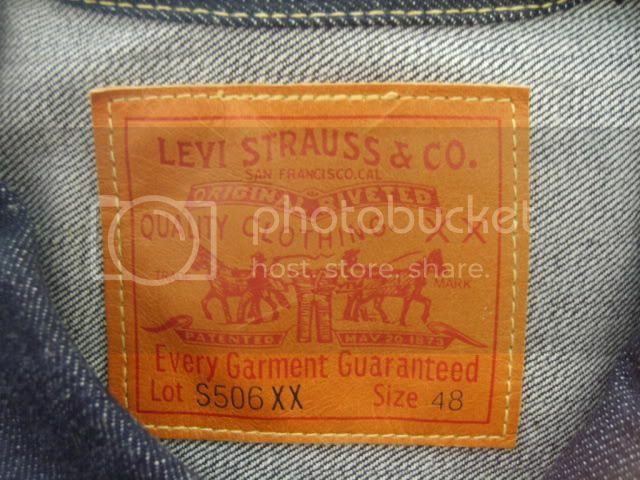 The backs of the waist buttons were stamped '555', denoting their place of manufacture as the Valencia street factory in San Fransisco. 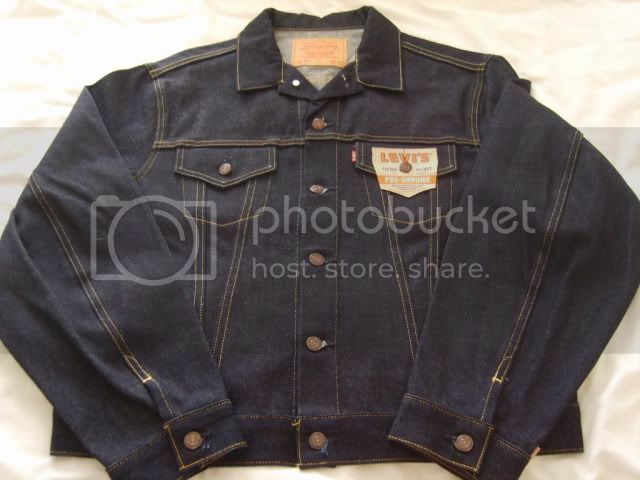 Saying all this, there was an early pre-Lvc offering - probably influenced by the growing interest of Levis Japan imports - a generic 1966 Big E repro produced around 1994 (if anyone has pics, that'd be great!) - These again came in a presentation box. 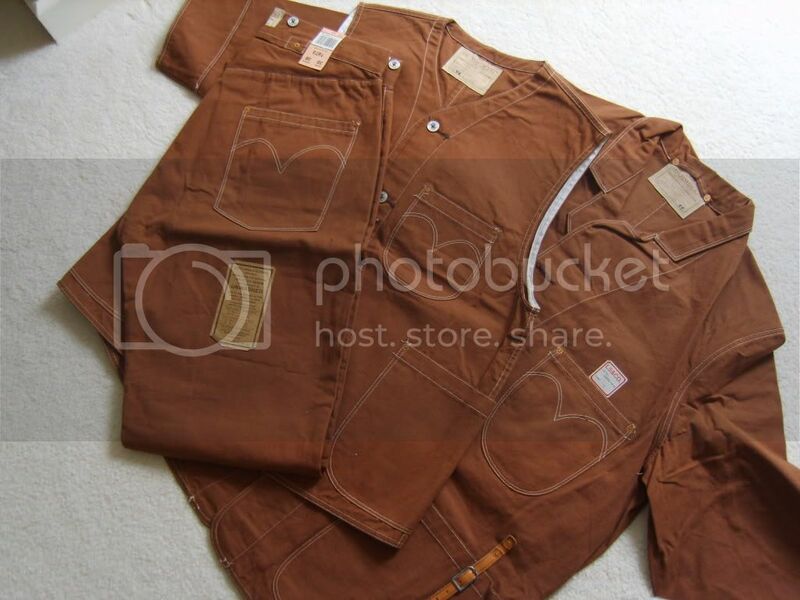 Here are two pairs of 1937 201XX jeans with the salmon-pink waist tags. Obviously they are 501XX, but for some unknown reason, Lvc then decided to differenciate them from the 1955 501XX's by giving them a different Lot number. 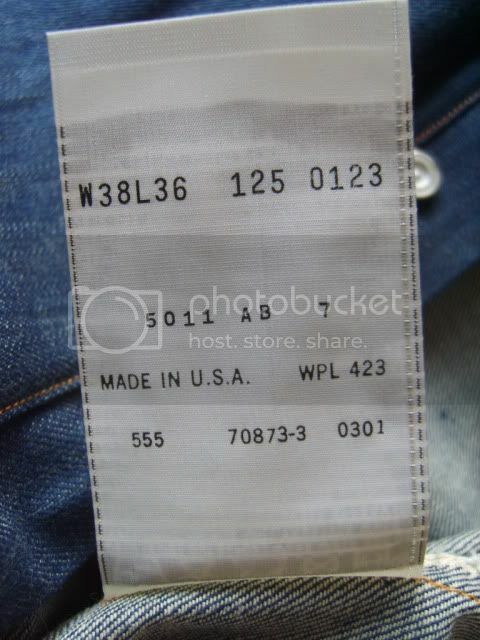 I would have though the different date, buckle, crotch rivet ..etc would have sufficed? 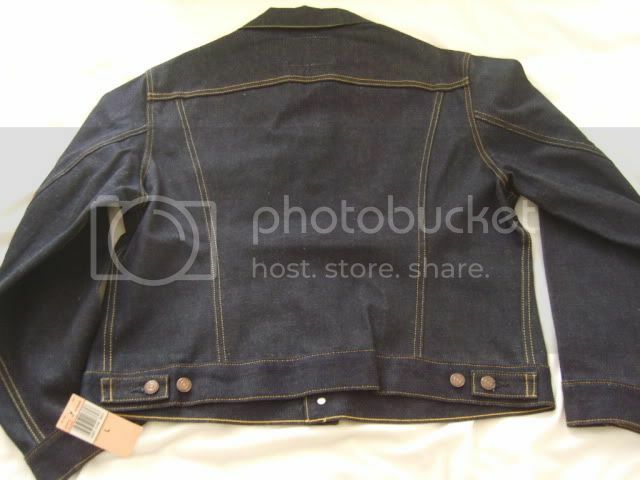 This was corrected in the S/S 2002 collection. (All these pieces are now sold). 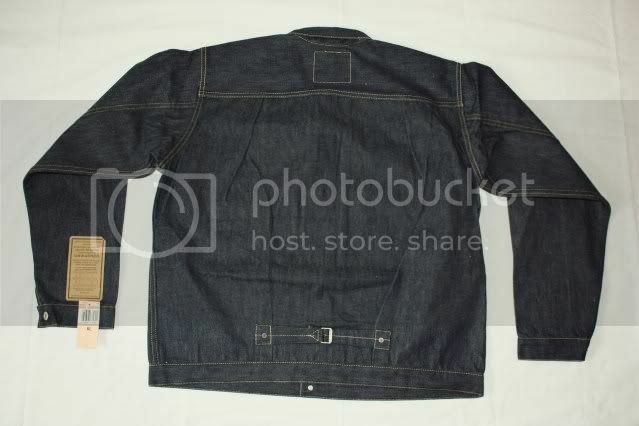 In 1999, amongst new models, came the 1920 201 jean and the matching 1929 213 jacket. 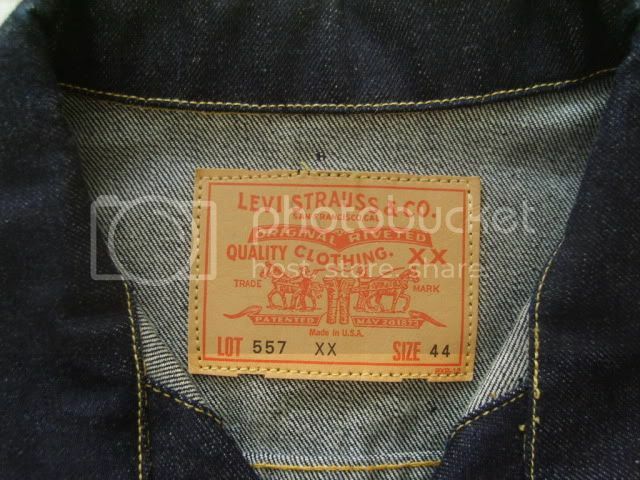 The 201 was originally one of the budget lines introduced by Levi's back in the late 19th century. In my opinion, these '99 repro's by Lvc were some of the best they made. Some of the best repro's Lvc manufactured were around 1999-2000. 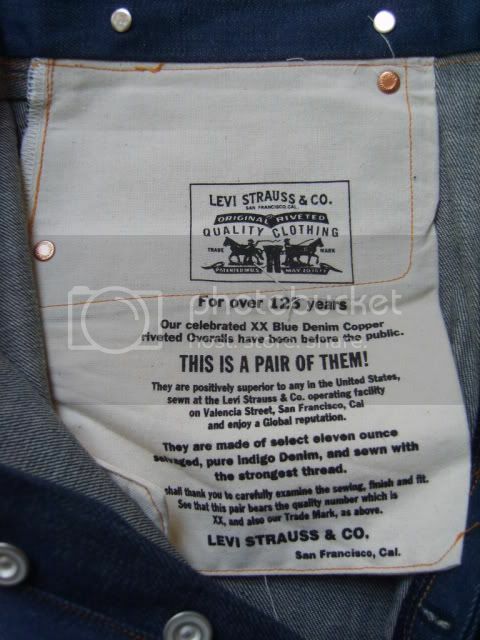 In 1999 the 1944 S501XX and the matching jacket were introduced, as well as one of the most iconic models - the 1947, the first post-war Levi's 501XX. 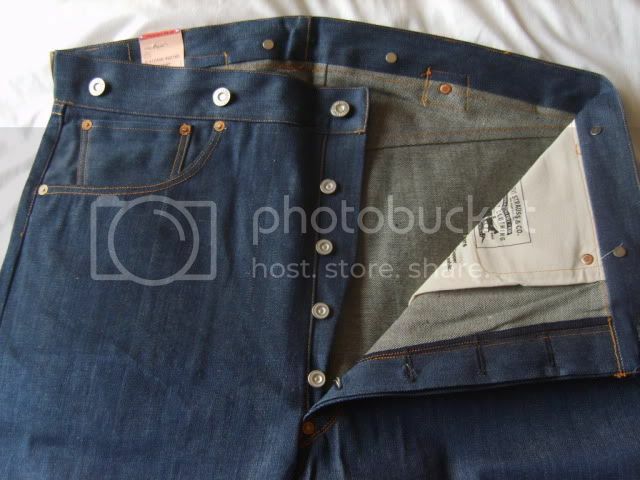 Different in cut and details, compared to the jeans made before the U.S joined the war effort, the 1947 model has now become the standard to which all 501's would follow. 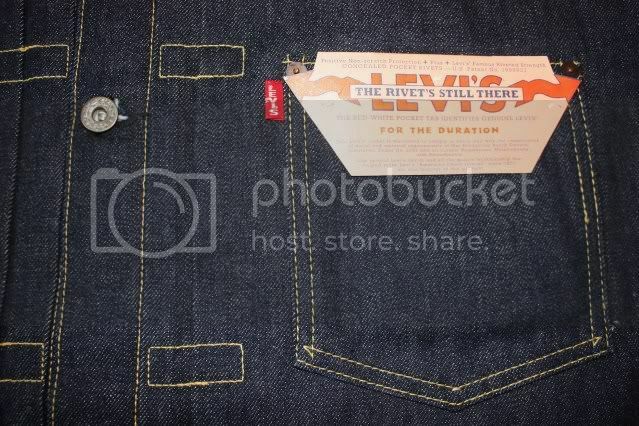 Also on the flasher, the words "The rivets' still there" has a band going through the middle (like on originals up until '66) of the word 'LEVI'S', just like the '37 and '44 repros. 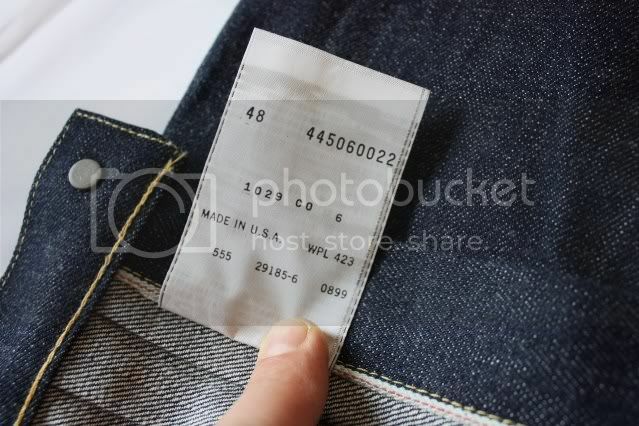 Yet the 55's dont have this feature? Another nice touc and an interesting point is that the flasher is dated 1947, whereas flashers on the (555) '44 and '55 models are dated 1996. I really need to get a life. Plain steel rivets, given a copper-wash.
Other great repro's made around 2000 were the 1873 duck pants, duck waistcoat and hunting jacket. Intended to be worn together on horseback, the clothing of early hunters/trappers. 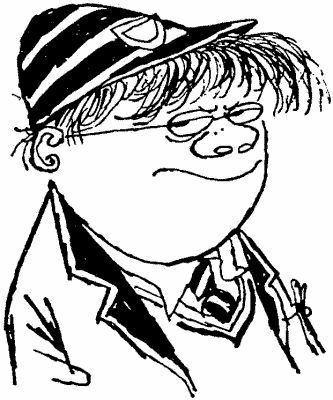 Lovely stuff, Dr. I guess your sell-off last year wasn't exactly comprehensive, eh? Most stuff I have posted has been sold over the last two and a half years. All I have left of the early stuff is a BNWT pair of '55's and the duck stuff. 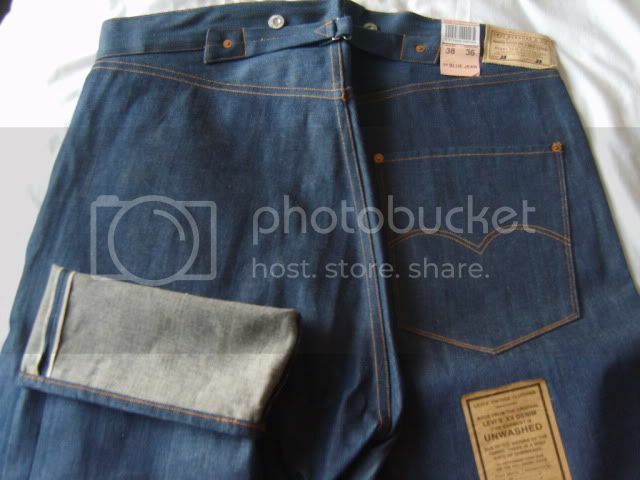 Oh and a pair of one wash 551ZXX which I wear now and again. charlie, you're a good man. thanks for posting all that. I thought I'd share my 1955 review here as well as sufu. "So my new 1955s are in. Overall I think they're pretty awesome. 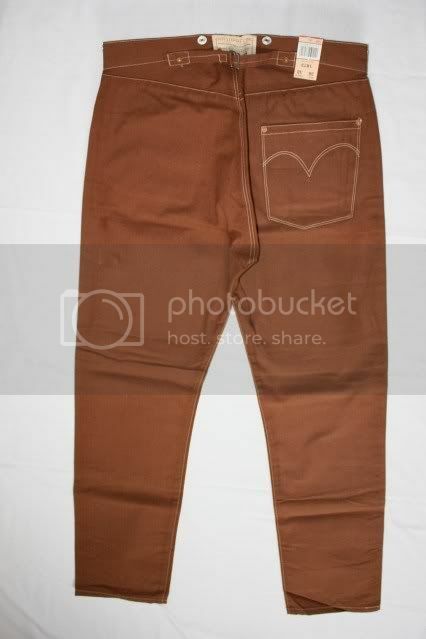 I love the fabric, the fit/silhouette is realy cool and classic, the construction looks to be dead on, and the pockets look really nice. 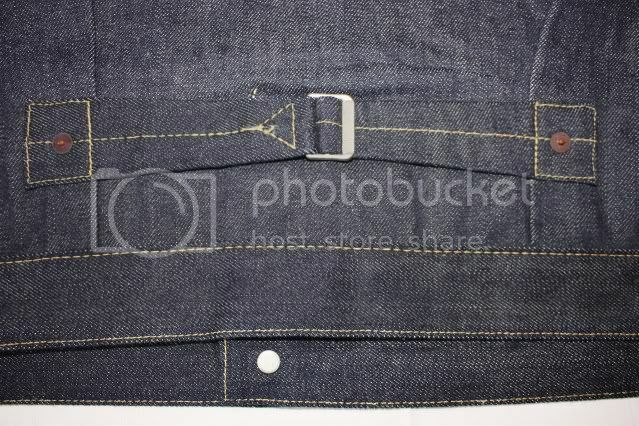 however, the buttons look horrible. 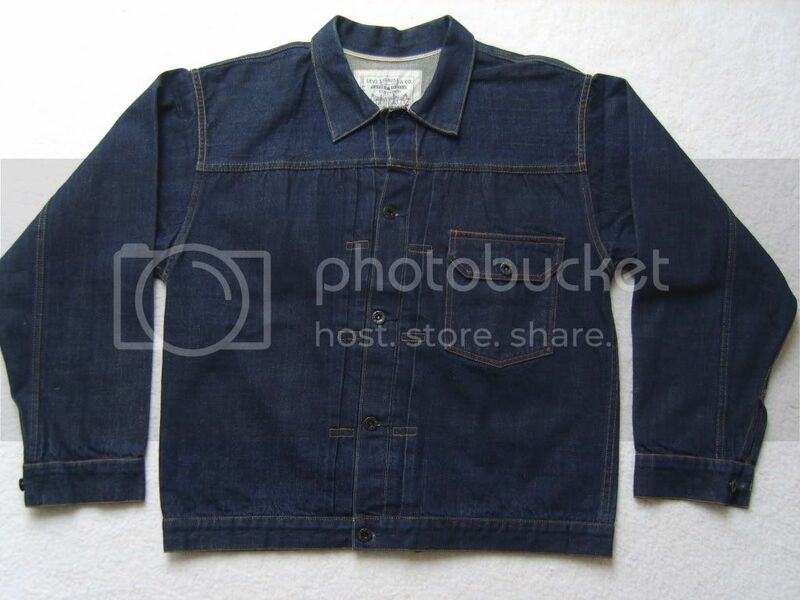 the cheapest looking I've seen. 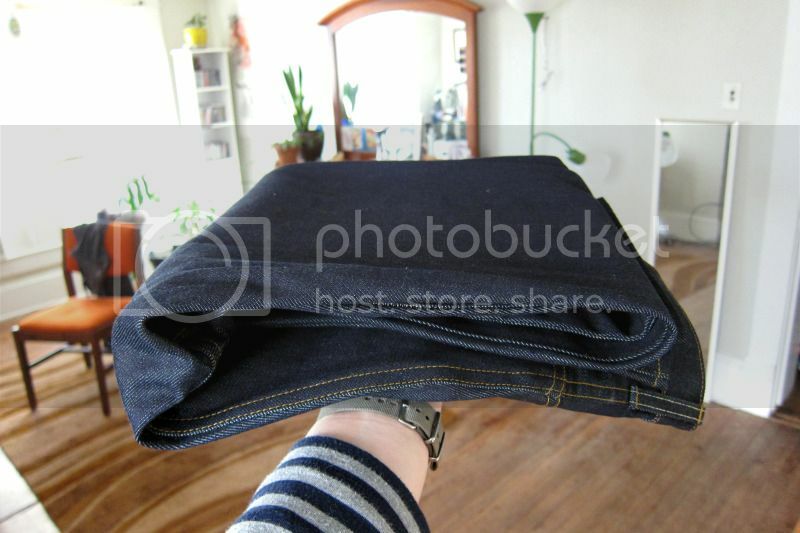 definitely not what you'd come to expect on a 250 dollar pair of jeans. the rivets look nice and this time are copper backed rather than silver. although the fly buttons look cheapo, the backs look pretty cool. 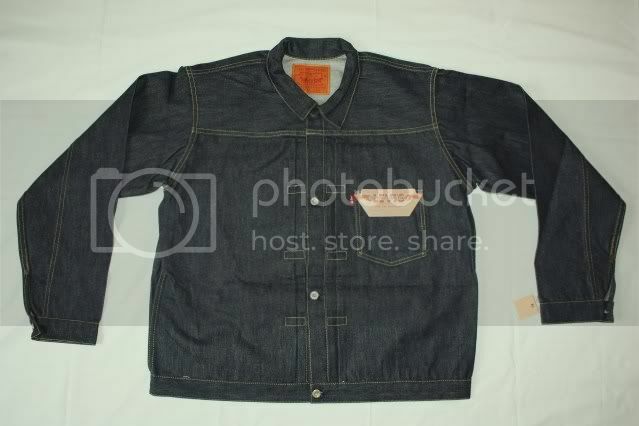 more like what i've seen on originals, kinda domed looking. 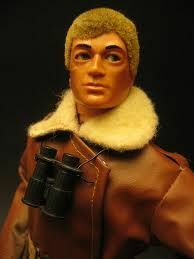 my other gripe is an old one. I wish they used nicer thread. The thread roy slaper uses is really nice and doesn't look shiny and plastic. the thread used on these is a little hairy, but still quite shiny. Something I still notice on my 1937s." 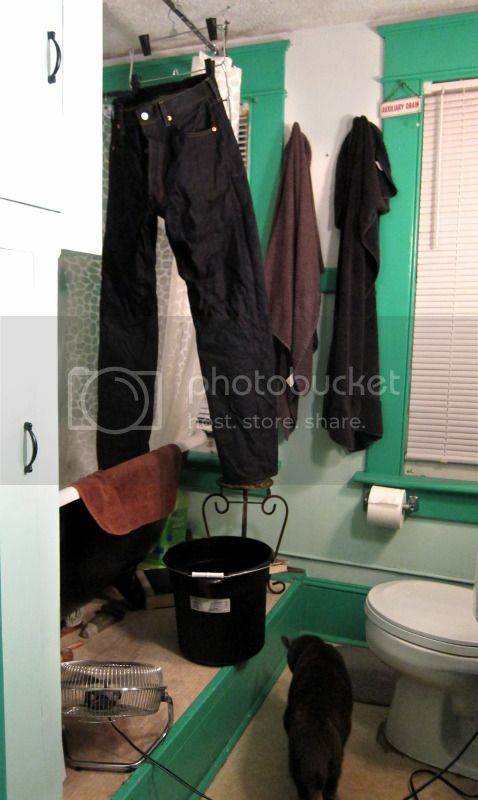 drying now. 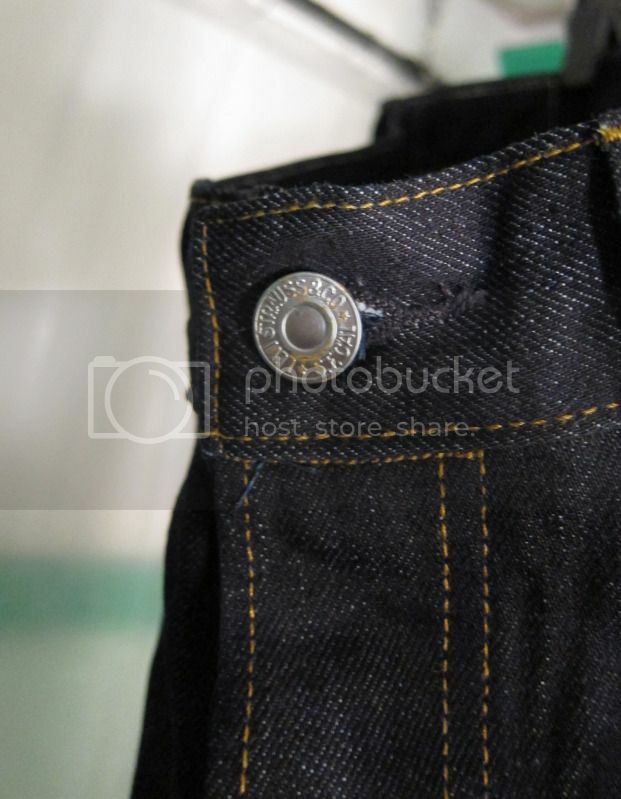 the rust has already started on the buttons, and they're not even dry yet. weird.